Editor’s note: This post was written by Karel Zeman, the owner of the GO-Gulf Web Design Company in Dubai. He has written this post as he likes blogging about current trends on web designing, development, social media and online marketing. He is an expert blogger on infographic posts. He is also a sports lover. All day any day, our friends make our lives better. For thus reasons we always want to establish connections with our friends and make sure that we keep the relationship going for as long as we can. Social media has been identified as one of the best channels for building connections with friends, but it is not the only way. By incorporating social aspects into our mobile user interface, design can go along way in facilitating human relations. Not every application needs to have social features, but there are some mobile apps which, if they do indeed incorporate social utilities in their UI can be of great advantage. Besides just establishing human connection, social features in an app can also drive more traffic to your app. In light of this, here 5 best social design patterns have been highlighted that can be incorporated in a mobile device. One word for this app: magnificent! Activity feeds are awesome in many ways: it allows the user to have a look at what their friends have been up to. As your friends continue to provide updates of their whereabouts, the application remains relevant through the so called psychology of social proof. 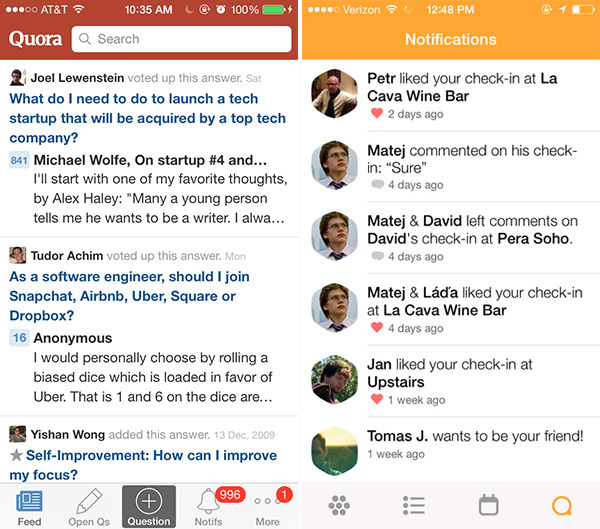 Some of the application that have so far incorporated activity feeds into the design include, but not limited to, are Quora, Swarm and Venmo. Quora gives you updates on some of the answers your friend might have responded to, while Venmo shows you a sneak peak of all your friends’ recent dealings. One thing we can all relate to is that, in today’s world, most of the applications are increasingly becoming popular at generating content that is targeted to a user’s specific preferences. Besides just following what people are up to, majority of us want also to stay abreast by knowing one or two things about themes and topics including: news, new cars, new singles and videos among other trending topics. 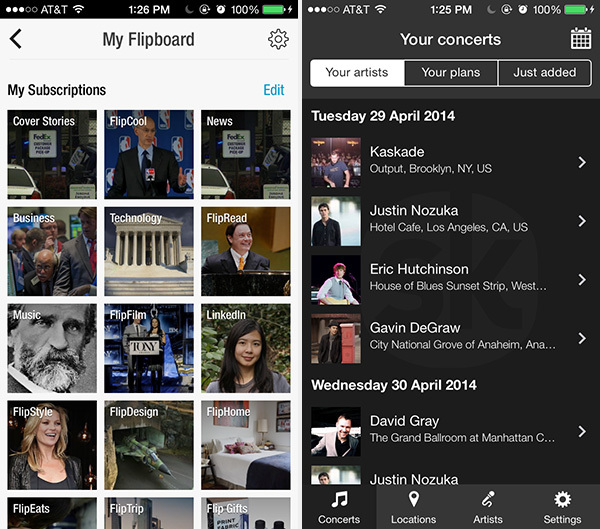 Follow incorporates all these features into one amazing app that can be seen in apps such as: Songkick, Flipboard, Twitter and Circa. The community-based social design pattern helps the user to get only relevant content or follow certain people. A community of peers help to decide which content is the most relevant by voting on the same. 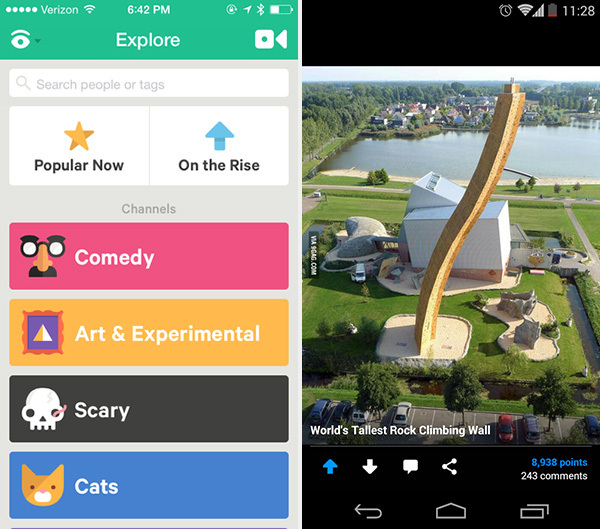 There are applications which are currently available such as Digg and Reddit that allow their users to cast a vote on the content they consider most interesting and relevant. This way, anything that comes on your front page and on your feed for that matter is filtered as relevant information as rated by people. When incorporated in your app, the trend uses crowdsourcing to produce the best content available. The app shows you the number of people who ”upvoted” a certain article hence allowing you to click on it. We all love sharing interesting content. This is evidenced by the increased desire for people to share the same on social channels such as Facebook and Twitter. Today, people are becoming more and more intrigued with the share feature. What better way to promote the use of this feature than to present it in the most attractive manner? In an ideal situation these share features are supposed to clutter your UI but thanks to the evolution, many apps currently tend to consolidate all those options into one share button. A perfect example of this social design pattern is provided by the Medium. A mobile app experience is always fun when shared with a friend. With this application in place, it provides the user with an opportunity where they can freely send invitation via their UI. The app makes it easy and obvious for users to find friends and send them invitations. 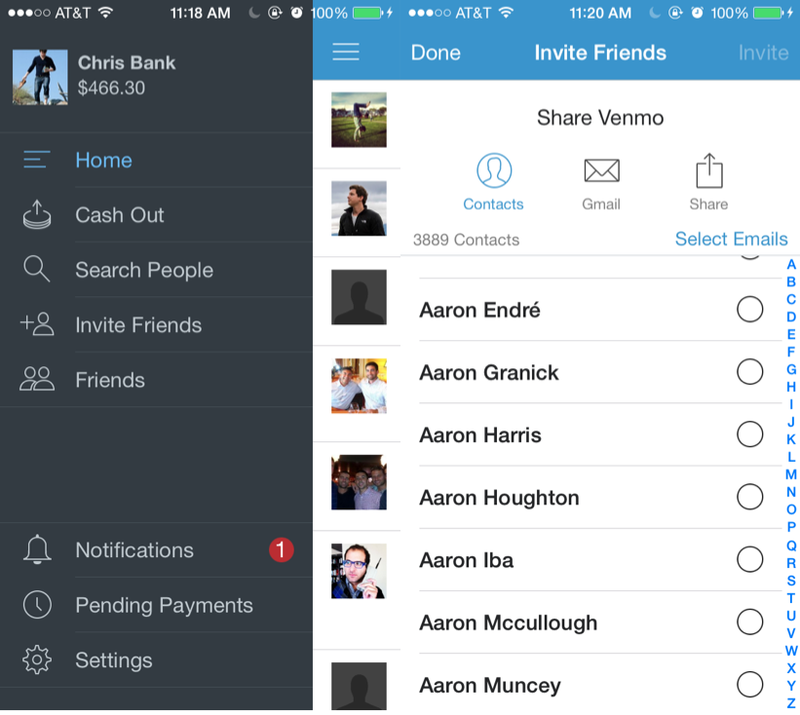 One of the best apps that incorporate this sizzling social design pattern is Venmo. The app integrates social, email and mobile contacts into their invite feature. Which of these design patterns do you already incorporate in your work? Do you have other social design patterns you think should be used by everyone? Share them with us in the comments.